Two trends that rival the rise of the modern-day requirement for gluten-free foods is the ever-controversial surge of veganism and the food powerhouse, CBD. Contentious debates over whether the price of avocados will prevent millennials from becoming homeowners is to be left firmly in the past as we now enter the age of low-waste and healthy, plant-based, hemp-infused food. Your first thoughts when you hear CBD-shop? You automatically think of the standard vaping shop set-up. A small-unit, in the middle of town, generally with one employee looking quite bored? You could be right in making that assumption. However, there are innovate folk out there trying to prove you wrong. Across the country we are seeing a boom in new businesses opening that are beginning to infuse CBD and hemp into speciality cooking and creating what is quite the eclectic menu of plant-based treats. Why is Hemp Perfect for Vegans? Hemp is perfect for the dietary requirements of vegans. Weight-by-weight, dried hemp contains more protein than beef or lamb. Even compared to popular vegan protein sources such as flax seeds, by weight hemp wins hands down. Hemp has more protein per weight that any other plant source. Not only that, it contains 20 amino acids, 9 of which are classified as essential for human survival and are a dietary requirement. It also consists of several vitamins and minerals as well as the essential fatty acids, omega 3 and 6, which are commonly obtained through non-vegan sources, such as fish and eggs. 2019 will be the rise of hemp seeds, stems and buds making their way back into our diets after a short hiatus of a hundred years or so. The earliest notes of hemp being used in the UK date back nearly 3,000 years ago to 800 BC. Where sources suggest that hemp was destined for the UK in ships sent from Asia. The recorded history in Asia dates back 12,000 years ago where the indigenous people at the time were believed to be using hemp for food and medicine. Many historians believe that hemp was in fact the first agricultural crop farmed, paving the way for modern day farming techniques. 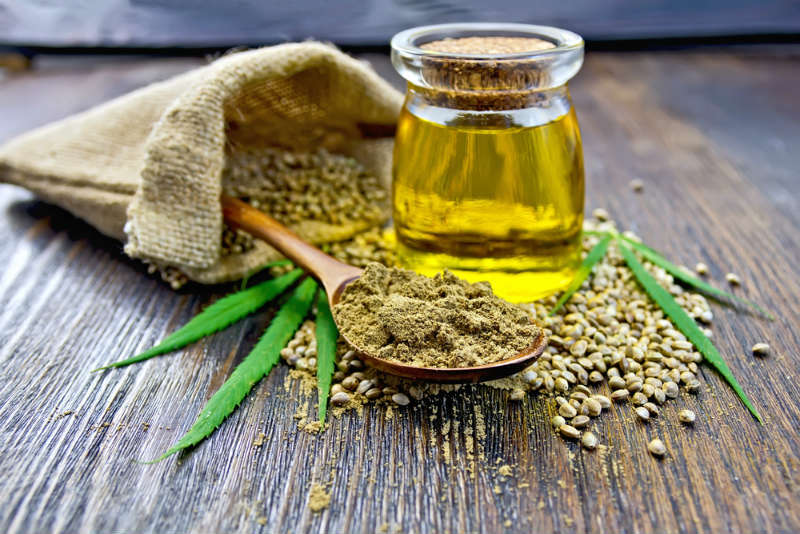 Unfortunately, with the rise in fear created by the USA in the failing ‘war on drugs’, we saw a decline in the use of hemp in the western world as food due to the misconception of its ill-educated association with marijuana. Instead, we are left with a wheat industry that lacks nutrition as well as the diabetes causing sugar industry – both which dominate the UK’s agricultural fields of today. It’s probably only natural for the trend of cannabis-based food to begin in the bohemian centre of the UK in Brighton. It’s boasts a predominantly vegan menu that infuses full-spectrum CBD into dressings, cream, cakes and ice-cream. They have a CBD-hemp brownie in addition to a range of speciality coffees and teas all infused with the cannabis extract. As would be expected, the media erupted about the opening of such a place. Cannabis-derivatives in food being sold legally would naturally bring about such a reaction. This only served to bring about lots of publicity towards the place, and business has thrived for them ever since. Especially considering they have an associated business within the same building that sells different strains of hemp CBD buds. The Canna Kitchen’s brain child and owner, Sam Evolution, has an amazingly positive outlook and ethos towards hemp. He’s what could be considered a veteran in the business with a solid 11 years in the hemp industry and has a long-term mission to “change the way people think about the cannabis plant”. · Marijuana – Contains more than 0.2% THC and is illegal in the UK. Sam stated that he opened the restaurant with caution when it came to the legal side of the business. He presented his plans concisely to the local authorities prior to the opening and they test to ensure that the THC within the food in the restaurant and the flower in the shop is well within the legal limits. The authorities shouldn’t have an issue with such an operation, but you can understand the cautious approach. Mainly because of the authorities understanding of the legal status of CBD buds. The young group of businessmen and women, who plan to open a vegetarian café, restaurant and bar called The Pilgrim’s Pit have stated that places like The Canna Kitchen have given them hope for the current business model they have and instead of just using the business purely for profit, they intend to use funds made to put back into music and arts within the local community. 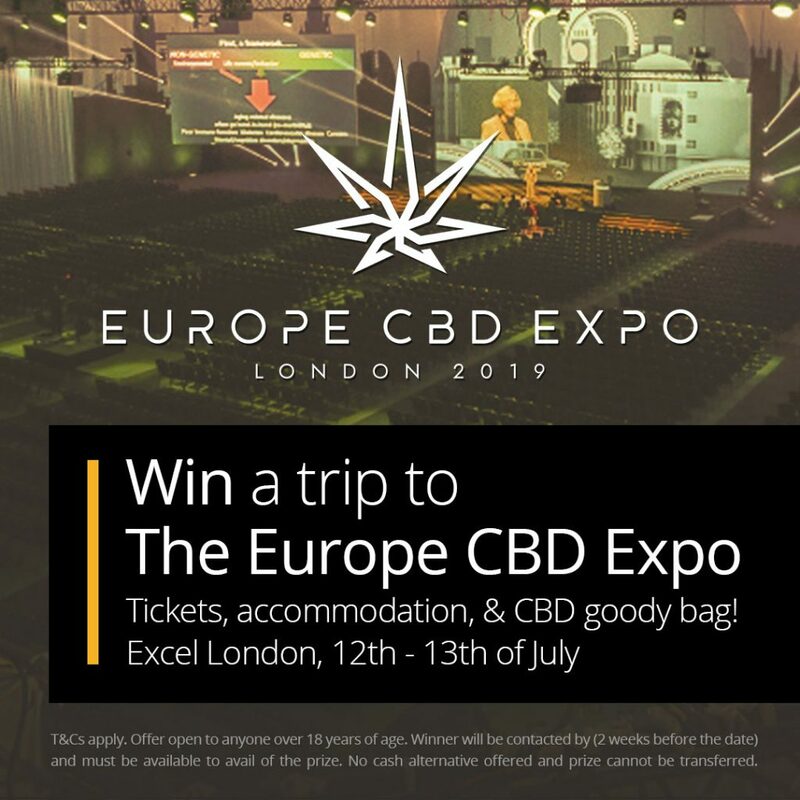 There’s also been a wealth of businesses within London that have open with CBD infused foods. Two popular spots seem to be Farmacy, who do a famous CBD truffle, as well as Yogland, who serve a hemp-matcha flavour of its frozen yoghurt. It’s hard not to say that it is an exciting time for advocates of hemp as well as vegans who are looking to go out for a sustainable food instead of always having to rely on cooking it home.